Salary: Consultancy fee will be agreed upon. 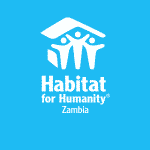 Request for Consultancy: End of Project Evaluation: Habitat for Humanity Zambia. In 2016 Habitat Ireland were successful in attracting funding from Irish Aid for a project in Zambia entitled “Building Stability and Resilience: Good governance, empowerment, land rights, housing and livelihood for Lusaka (Kamanga, Linda, Chazanga, Chainda and Bauleni) and City of Ndola (Twapia and Chipulukusu).